Back on Monday, December 19 th, I was the first to break the story about Middletown Director of Parks, Recreation and Cultural Affairs, Gregg Silva being placed on indefinite administrative leave. In that post, I commented that a rumor was also circulating that departing Township Committeewoman Pamela Brightbill was next in line to replace Silva as Director. At that evenings Township Committee meeting, Brightbill was praised and lauded by her fellow committee members and members of the public, for her years of service to the Township. At no time during the course of the evening did Gregg Silva’s name come up or did anyone suggest that Pam Brightbill would make a good replacement for him (although other suggestions were made about what boards or committees she would excel at if placed on). It wasn’t until after the meeting that Township officials were approached by members of the media about Silva’s departure and the rumor about Brightbill taking over for him. To be expected, no one would publicly comment on Silva’s situation and only state that the matter was being handle internally. Kudos however goes to Sue Morgan of Middletown-Patch for going the extra mile by asking Pam Brightbill in a telephone conversation the following day, if she was interested in taking over for Silva to run the Department of Parks & Recreation. According to the article that was posted, Brightbill denied having any interest in taking over for Gregg Silva and saying that she prefers to continue volunteering on one or more advisory boards. I for one said at the time I heard the rumor, that I thought it was unlikely for Pam Brightbill to take over for Gregg Silva and I am glad that she has now gone on the record denying having any interest, but to be frank, I wouldn’t have expected her to confirm having interest either. We’ll just have to sit back and see what happens over the next few weeks concerning the ongoing investigation of Gregg Silva and whether or not he is terminated as a Township employees, before we can place any credence on Pam’s denials. The latest and last edition of “It’s Your Town” newsletter for the year, which covers the Middletown Township Committee meeting for Dec. 19th, 2011, is now available for your reading pleasure. Besides the usual contents of the newsletter such as the monthly bill list and various ordinances and resolutions, inside this newsletter you will read a very accurate representation of the public hearing concerning the expansion of the Middletown Library’s Board of Trustees, Ordinance 2011-3048 , which became a rather testy affair at times between acting mayor Tony Fiore and the members of the public that stepped forward to address their concerns over the expansion of the board. The expansion of the Library Board is seen by many as a way for the Township to gain greater influence over the Library’s budget and business dealings, to ensure that future surpluses are readily available for the Township’s purposes and a repeat of the public spectacle that took place earlier this year over the Township Committee’s ruthlessly brutal extortion of $500K worth of surplus and reserved funds from the Library. This was also the last Township Committee meeting of acting deputy-mayor Pamela Brightbill, who decided not to seek reelection to the Township Committee this year. A Proclamation was presented to Brightbill for her years of service. Early last week I received an email from someone that wanted to know if I had heard or knew anything about Middletown’s Director of Parks, Recreation & Cultural Affairs, Gregg Silva, being investigated by the Township of Middletown for some wrong doing and as a result of the investigation has been placed on indefinite administrative leave(fired?) by his bosses at Town Hall. This person also informed me that as a result of Silva being placed on indefinite leave, rumors were running rampant that Middletown’s former mayor/deputy mayor, the soon to be departing Township Committeewoman Pamela Brightbill, be will replacing Silva as the new Director of Parks, Recreation & Cultural Affairs. I responded by saying I hadn’t heard anything about Silva’s current troubles or the rumor about Brightbill, but I would make a few inquiries and get to the bottom of it as best I could. So I sent out a few emails and made a couple of phone calls to some people that I know to see if they had heard anything themselves. It didn’t take long to get a response. From what I have gathered, it seems that Gregg Silva is most definitely on administrative leave and has been for over two weeks. The leave has been technically without pay (he is being allowed to use accumulated sick time) while he is under investigation by the Township. What did he do wrong that has caused the Township to place him on leave? If you know anything about Gregg Silva, it could be just about anything, he has a long history of engaging in questionable practices. But what seems to have been the last straw was the building of a private memorial, on Township property, on the grounds of Croydon Hall in Leonardo. A few months back a Township teenager, who grew up in the Leonardo section of Middletown, passed away as a result of a car accident while traveling down Chapel Hill Rd. The teenager, Daniel Piano, by all accounts was a great kid who had a lot of friends and a very loving family. As a result of his passing, his friends built a makeshift memorial at the site of the accident but it wasn’t a place that Daniel’s mother wanted to go or thought that others should go to either because of the nature of the road, Chapel Hill Road is very busy and is dangerous for people to stand on the side of. So she had the idea to ask the “Township” for permission to build a memorial for Daniel on the grounds of Croydon Hall, seeing how it was a place that her son spent many happy hours of his life playing and hanging out there. After receiving permission from Gregg Silva to build the memorial, Mrs. Piano went about the business of arranging for the construction of Daniel’s memorial, the building of which was covered by private donations and volunteer labor. You can read all about it in an article that was posted online at the Two Rivers Times. So then, why would Gregg Silva be placed on indefinite leave of absence with his job in jeopardy if he received permission from the Township, to allow the construction of the Daniel Piano Memorial on the grounds of Croydon Hall? Well, evidently he never asked his superiors if it was alright for the memorial to be built. He took it upon himself to OK it without the consultation of others and that is where the trouble now lays. If Gregg Silva would have first spoken to Township Administrator Tony Mercantante first, I am sure that the memorial would not have been allowed to be built. But now that it has been built the Township has to deal with any potential repercussions that might be a result of the memorial being built, namely others that may want to build similar memorials to loved ones that have passed. As unlikely as that may seem, by giving the go ahead to the Piano family to built the memorial, Gregg Silva inadvertently set a precedent within Middletown that would allow for these types of memorials to be built in other parks throughout the Township. If the Township denies other the right to privately construct such memorials it could lead to lawsuits that would be costly to Middletown taxpayers. As for the Brightbill taking over for Silva rumor, at this time from what I have been able to gather, it is still just a rumor but could have legs for a variety of reason, which I will save for another post. In an effort at full disclosure on my part, everything that I have written here I have heard from others. I just want it to be known that I sent Township Administrator Tony Mercantante an email last week seeking comment but I haven’t heard back from him as of yet. From what I understand, I was not the first to try and contact him last week on this subject. Two real, non-blogging journalist (I don’t consider myself a journalist) have either spoken to Tony directly ( I was told the conversation was short, curt and ended with Mercantante stating that Silva was under investigation and the investigation was being handled in-house) or sent him, like myself, and email. If I hear back from Mr. Mercantante later on this subject, I’ll post an update. >It’s been nearly a week now since Middletown Deputy Mayor Pam Brightbill announced that she wouldn’t seek another term on the Middletown Township Committee. The news came as a shock to many, including Board of Education member Joan Minnues, who has worked closely with Brightbill over the years putting together events such as the Great Race and Project Prom. According to Minnues, who I spoke to briefly at the April 14th Board of Education Candidates Forum at Harmony School, Brightbill’s decision to step down from the Township Committee was a complete shock. She had told me that she speaks to Pam Brightbill often and had just spoken to her the day before the announcement and Pam gave her no indication of her desire to step down, It was a little out of left field. So was this a last minute personal decision by our two-time Deputy Mayor in order for her to spend more time with her family and other endeavors or something more? Those of us that have been keeping an eye on Town Hall have speculated privately for some time that Pam Brightbill was on the way out. Her frequent meltdowns on the dais are legendary and her arrogant, self-serving display in front of the audience for the February 16th Library Board of Trustees meeting, where she squealed her dismay at board members for not sending her emails or keeping her “in the loop”, when it was her that had appointed many of them to their positions, made many mouths drop wide open in disbelief through out the audience that night, didn’t help matters. But what really started the speculation flying about Brightbill was her near total meltdown during Committee Comments back at the September 20th, 2010 Township Committee meeting (audio below). At that meeting, she vented angrily at Township Administrator Tony Mercantante, for his lack of follow-up on many issues along with a total lack of communication between Mercantante, the Townships Committee and other various boards and commissions that she was serving on. That type of public outburst between an elected Middletown GOP Township Committee member and a fellow Middletown GOP appointed official, must have caused just as much disbelief in the rank and file Republicans as it did to those us on the other side. After all, it’s a cardinal sin to air dirty laundry out to dry in front of the public, in such a manner. 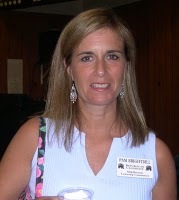 I think it was becoming evident to the leaders of the Middletown Republican Party that Pam Brightbill was becoming a problem to them and they wanted her off the ticket before she caused any real damage to their chances of winning this year’s election. The audio clip from the September meeting (above), runs 17 minutes long. It is fascinating to hear the desperate tone in Brightbill’s voice when she is reprimanding/pleading with Administrator Tony Mercantante for better communication while discussing many other issues haphazardly thrown in. >The following press release was issued today announcing that Middletown’s Deputy Mayor Pam Brightbill will not be seeking re-election to the Township Committee this November. Brightbill will be replaced on the ticket with Stephanie Murray. MIDDLETOWN—Middletown Township Mayor Tony Fiore and Zoning Board Member/Housing Authority Commissioner Stephanie Murray today filed petitions seeking the Republican nomination for Middletown Township Committee for 2011. In addition to serving as a member of the Zoning Board and a Commissioner on the Middletown Housing Authority, Mrs. Murray has also served as a member of the Township’s Parks and Recreation Advisory and Open Space Committees. Stephanie is also the founder of a community group known as “Middletown Mornings” which is an open forum for residents of Middletown to meet with their local public officials. Murray holds a B.A. from Fordham University and runs a small publishing company. Stephanie Murray is also the founder and co-owner of Crescent Moon Press , a small specialty book publishing firm, that publishes fantasy and occult novels. 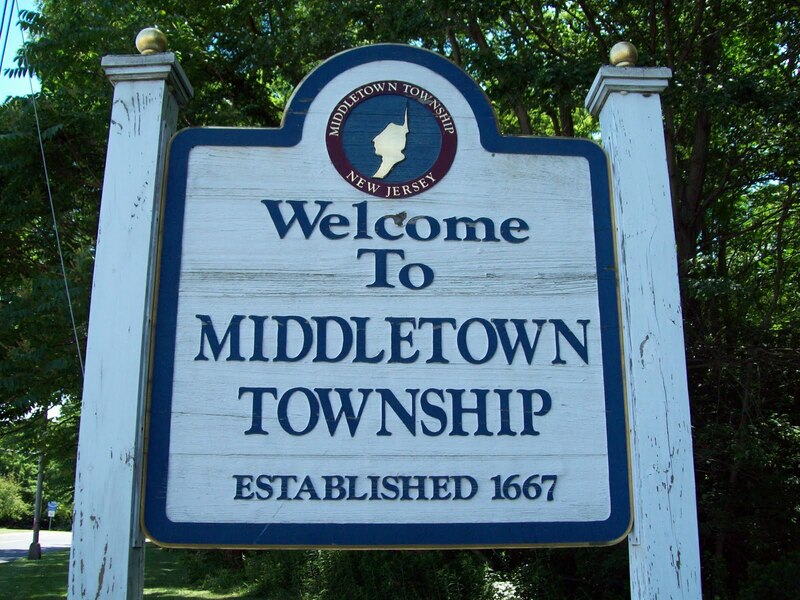 >Yesterday, January 2nd, was the annual reorganizational meeting of the Middletown Township Committee. I couldn’t be there myself because of my work schedule, but thanks to people that were there who provided me with audio from the proceedings, a column posted at the Asbury Park Press and a couple of blog postings from other sources, I have been able to catch up on what happened. I was told that the Court Room where the proceedings took place was hot and stuff, which in years past would not have been a surprise to anyone seeing how the room is usually jam-packed and overflowing. This year however, it seemed like a quiet reorg day, the room wasn’t packed as usual. Only about 25% of the volunteer appointees to various committees and boards bothered to show up to be sworn in and the proceedings were over relatively quickly as compared to years past. The speeches were not that long; I have audio clips that I will post later of the comments made by Scharfenberger and his running mate Kevin Settembrino, Tony Fiore and Pam Brightbill, so that those that may be interested can hear for themselves what was said. The only real news that came out of the Reorganization Meeting was who were appointed Mayor and Deputy Mayor for 2011. Tony Fiore was appointed Mayor and Pam Brightbill was re-appointed Deputy Mayor for the second time during her tenure on the committee. These appointments were long expected, based on past practices of the Middletown GOP. The Middletown Republicans have a habit of appointing those who are up for reelection in the coming year to perceived leadership roles on the Township Committee. Next year you can look towards Steve Massell being appointed either Mayor or Deputy Mayor.